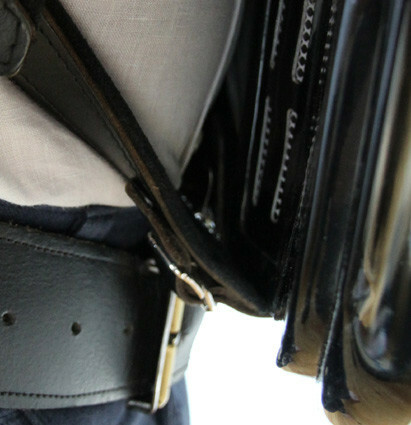 The accordion belt isn´t only comfortable and convenient but is also a real gem - an eye-catcher! It allows sovereign stage performances and your back is relieved of any pressure. This link shows you more pic´s and information to the materials. In the photo gallery you will find more pictures to the accordionbelt. The belt buckle constitutes the centrepiece. According to your body measurements and accordion model the size and shape are customized. It is made of stainless steel and equipped with decorative fittings to protect the leather. On request, an engraving, e.g. initials, can be inscribed by laser. A commercial strap holder for mounting is enclosed. 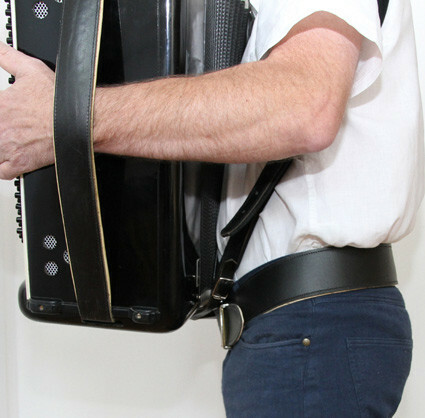 It can easily be mounted on the accordion (instructions follow) or let an instrument maker or accordion seller help you with the mounting of the strap. 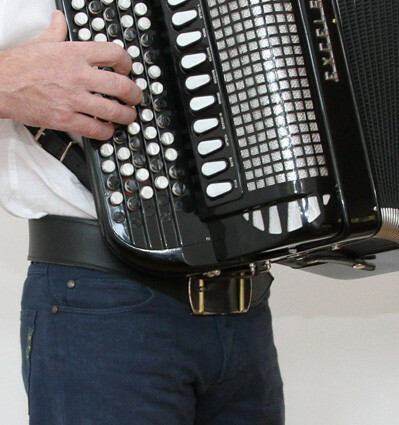 With every individual accordion belt I strive for a perfect fit so you have it in the right position to play your instrument. 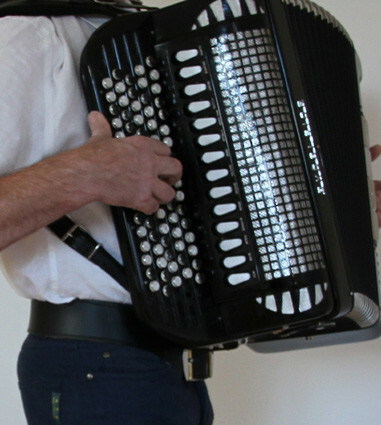 It is important to take correct measurements in order to get a perfectly fitted accordion belt.